A corporate recruiter is best defined in relationship to an executive recruiter or even a staffing recruiter. Corporate recruiters exist in house at a corporation regardless of the size of the corporation. A corporate recruiter could also be called an in-house recruiter and typically exists on an HR team. Sometimes they’re also on a more distinct department of an HR team known as talent acquisition. A corporate recruiter’s job is similar to an executive recruiter or a staffing recruiter and is to recruit candidates. Corporate recruiters are likely focusing on specific roles that tend to have a wide variety of roles and experience. These roles could be in logistics, marketing, sales, entry-level, senior level or executive level roles and so on. Often times senior-level roles are reserved for more senior recruiters. These types of roles, which typically start at the director level or above, require a different type of experience and expertise. A corporate recruiter often is also focused on hiring for one company only. An executive or staffing recruiter is going to be working with a variety of clients and locations, often nationwide and sometimes globally. One thing that’s important to keep in mind with corporate recruiters is that they are always going to be solely focused on recruiting. All they’re going to be doing is recruiting and managing the full recruiting lifecycle. 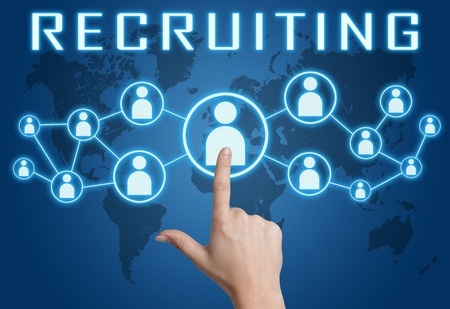 *For more information about what the full recruiting lifecycle is, or what a full cycle recruiter is, please refer to an earlier blog HERE. An executive or agency recruiter is going to be focused on recruiting for multiple companies and levels and probably not solely recruiting. Agency recruiters are almost always doing some level of sales and/or client services. Since agency recruiters are also vendors, they will also be constantly managing client relationships, up selling, opening and growing accounts. This is a unique sales function that is particular to agency recruiters that a corporate recruiter is never going to deal with. Agency recruiters are typically going to be held to a higher standard as they need to pay more attention to quality versus quantity. Internal corporate recruiters don’t have to prove themselves as much as an outside recruiter. Typically corporate recruiters get paid a lot more money than agency recruiters since they’re on salary with some bonuses and commissions. A corporate recruiter is part of HR, while an agency, executive or staffing recruiter is more of a sales person who is also a recruiter. One thing to know is that corporate recruiters tend to have an advantage and a better grasp on culture within a company. Since they’re in house with the company, they have day-to-day interactions with the culture and other employees of the company. They’re often involved in other conversations with HR about staff augmentation, company structure and strategy. They will have an insight into things that the agency recruiters are just never going to be privy to. This can be an advantage as hiring for culture is becoming more and more important across organizations. Being able to find people that are the right cultural fit for the long term is critical for anyone dealing with talent acquisition. This is where most executive recruiters or agency recruiters drop the ball. They don’t do the legwork to find out about their clients culture and their clients needs. And they don’t stay in touch and communicate with their clients in ways that keep them connected. They in turn tend to find people that may or may not be the best cultural fit. Often times this is why there is such an industry wide fall off ratio for agency recruiters. If you are going to hire a recruiter you want the advantage of being connected with your company culture. If you’re an agency recruiter it’s critical that you take the extra steps necessary to be able to do that. Corporate recruiters are often times going to be very invested in their company given that they work there. So this can sometimes lead to another competitive advantage in terms of finding the right talent. This is why most of the time retained recruiting agencies are wildly more effective than contingency. Often companies don’t want to pay engagement fees, but don’t realize the fees are guaranteeing much better results. For example, here at Aldebaran, we have a 95% close rate on our VIP retained searches while our contingency searches rate is closer to 60%. This is a very large discrepancy, but that’s because retained searches get prioritized and have permanent VIP status. A contingency search isn’t going to have permanent VIP status. When contingency searches don’t produce results in 3-4 weeks they lose priority as other needs come in through the business. It becomes less and less profitable for a recruiting firm to spend too much time on contingency searches. If you find a good recruiter and pay the engagement fees, you’ll get sometimes up to 50% increase in effectiveness! A corporate recruiter is likely going to be able to spend unlimited resources on any given position until it’s filled. This is an advantage, but the potential problem is that roles tend to stack up. At many organizations, corporate recruiters are overloaded and unable to focus on the needs of the organization. Agency recruiters tend to be more experienced and better head hunters than corporate recruiters. This is simply because of their exposure to different markets, clients, and different types of opportunities. Agency recruiters tend to have a better understanding of business and how different companies work together. A good agency recruiter is going to be able to be an asset to you and your talent acquisition team. If you find and hire a good external recruiter, make sure that you’re leaning on and leveraging them for advice. They are exposed to a lot and can give you a lot of insight into different aspects and strategies in the market. So these are some of the differences between corporate recruiters and agency recruiters. There are many more, but this is an initial look at the differences in the types of recruiters out there.